Marriage Boot Camp is back in action. 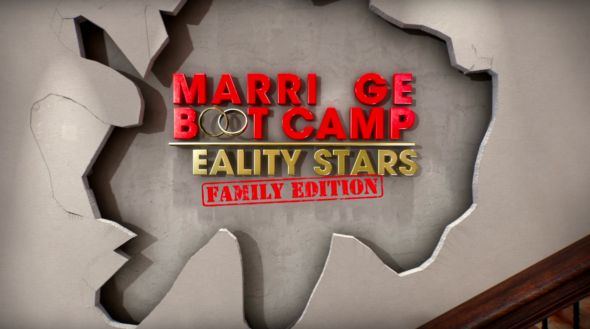 This week, WE tv announced a new season of Marriage Boot Camp: Reality Stars Family Edition will premiere in March. The new season of Marriage Boot Camp: Reality Stars Family Edition premieres on WE tv in March. All dealing with notorious and well-publicized rifts, these families will undergo intense counseling and decide, with the help of experienced therapists Dr. Ish Major and Dr. Venus Nicolino, whether to mend or end their toxic family ties. What do you think? Do you watch Marriage Boot Camp? Are you excited for the new season? More about: Marriage Boot Camp: Reality Stars Family Edition, Marriage Boot Camp: Reality Stars Family Edition: canceled or renewed?, WE tv TV shows: canceled or renewed?